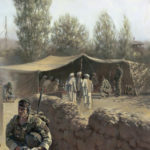 Commissioned by the Intelligence Corps. 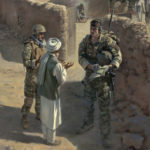 A Military Intelligence operator, attached to an infantry patrol, gathers information from a local elder prior to a shura. 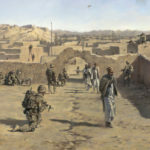 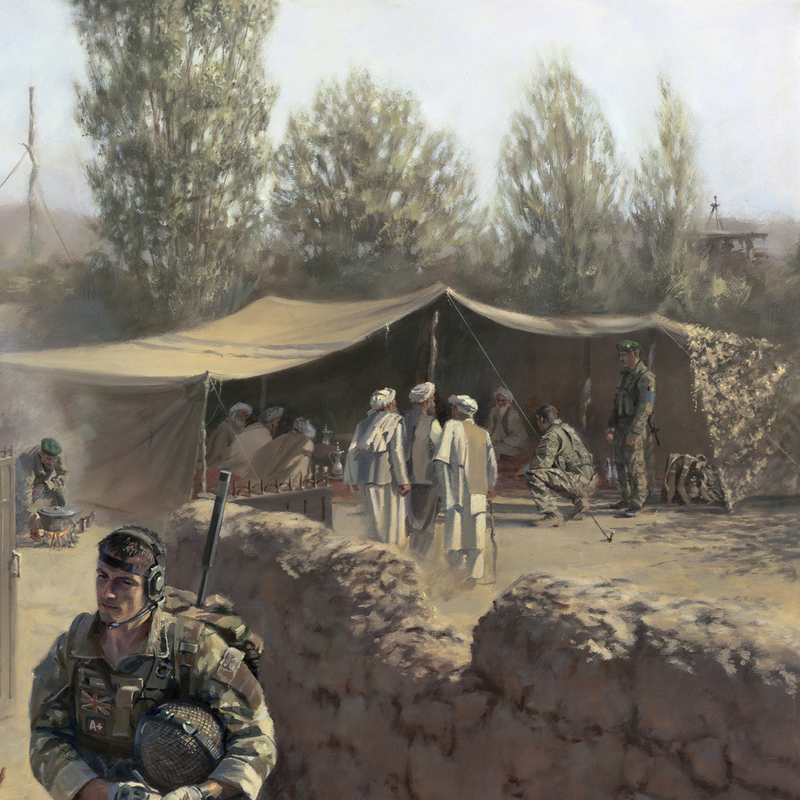 Although the painting could illustrate one of many MI capabilities that deployed on the ground, it is designed to show the typical activities of a CompanOperational Intelligence Support Team (COIST) operator. 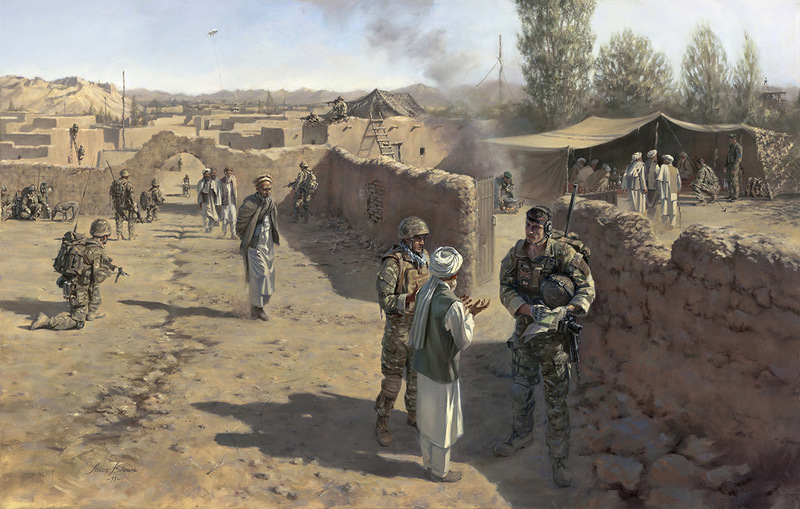 It combines a foot patrol and shura by showing locals gathering for a meeting while in the foreground a village elder volunteers information to an MI operator through a local interpreter. 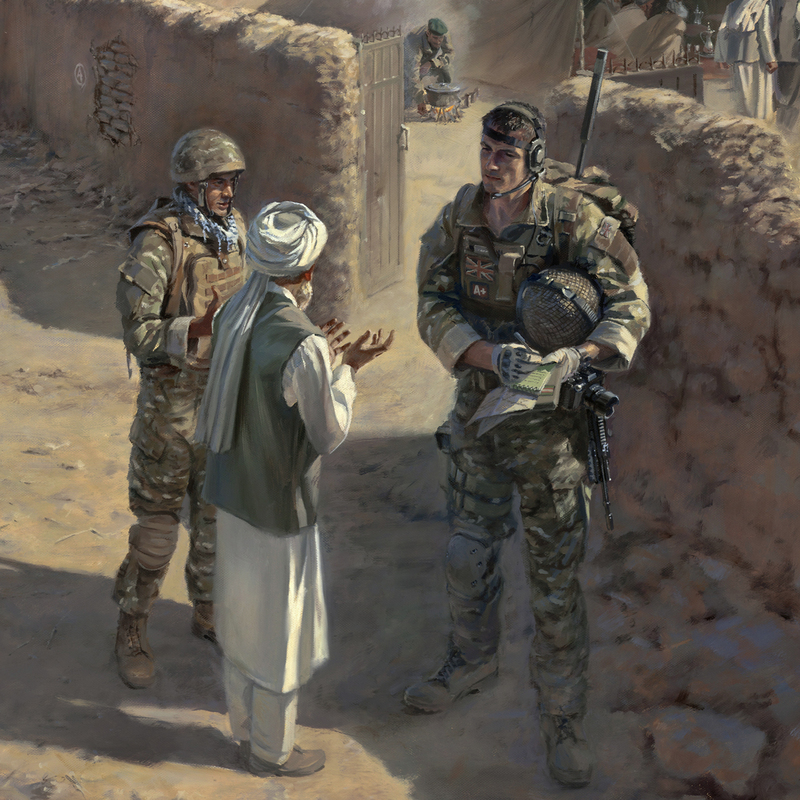 The MI operator is clearly identifiable as such by the 1 MI Brigade flash he has fixed to the back of his notepad. 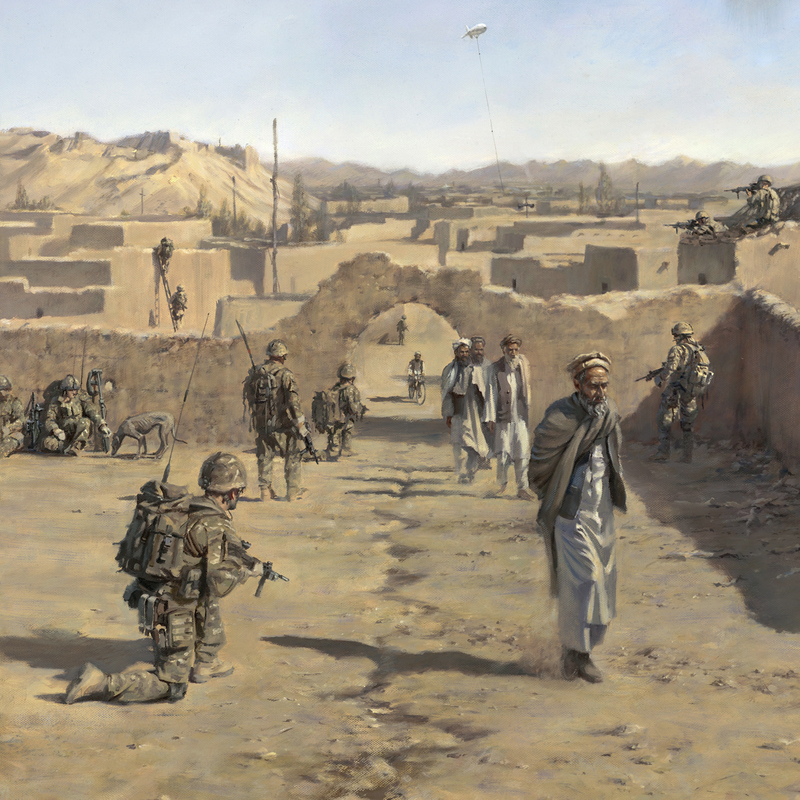 The painting was commissioned by the Corps to mark the granting of the Freedom of Entry by Marlborough to 4 MI Battalion on the 23rd June 2011.